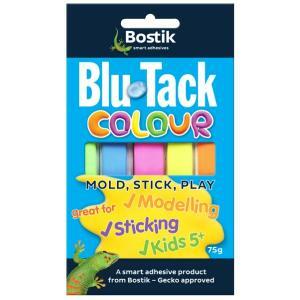 Bostik Blu-Tack Colour is the original reusable adhesive in 5 bright colours. Permanently plastic, very pliable and with excellent adhesive qualities, Blu-Tack Colour is the perfect modelling material and multi-purpose adhesive for around the home. Non-toxic and safe for the whole family.